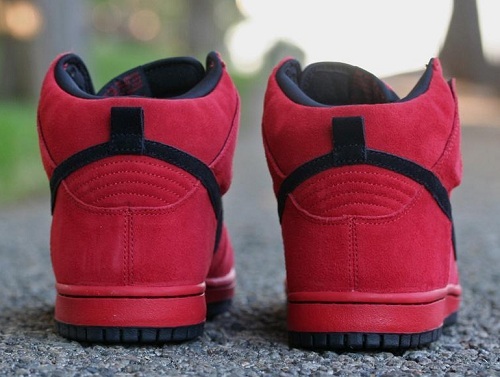 Previewed several times in the past, the 'Red Devil' Nike SB Dunk High is finally making it's way to retailers. 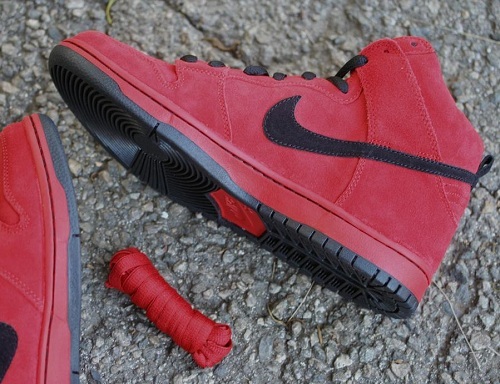 Previewed several times in the past, the 'Red Devil' Nike SB Dunk High is finally making it's way to retailers. Inspired by the 'True Red' SB Dunk low, these all new SB Highs earn their 'Red Devil' nickname with the use of red suede throughout most of the upper. Black covers the suede Swoosh, laces and sockliner. 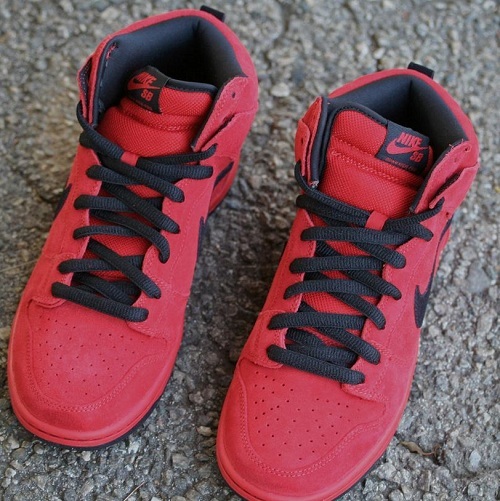 Additonally, the 'True Red' SB Dunk inspriation continues with a red and black Dunk sole working below. Enjoy a closer look below, and look for the 'Red Devil' Nike SB Dunk High to release next month at select Nike SB retailers.